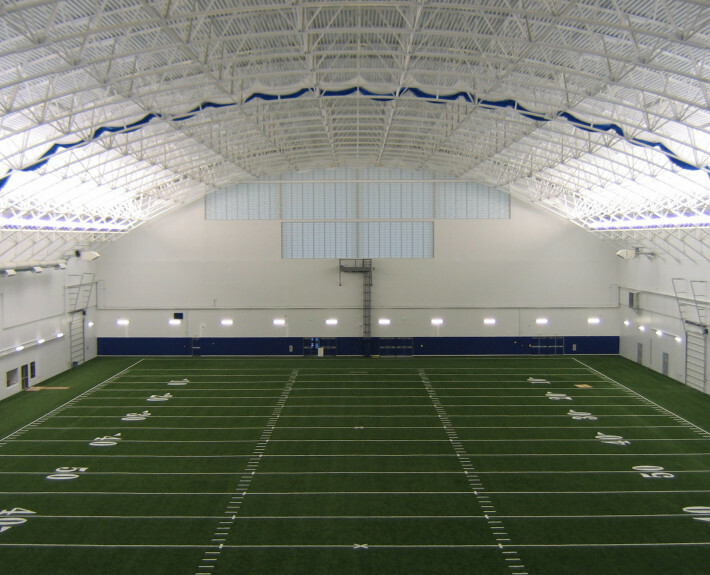 Boise State Indoor Practice Facility - McAlvain Companies, Inc.
McAlvain managed the design and construction of the BSU Indoor Practice Facility. 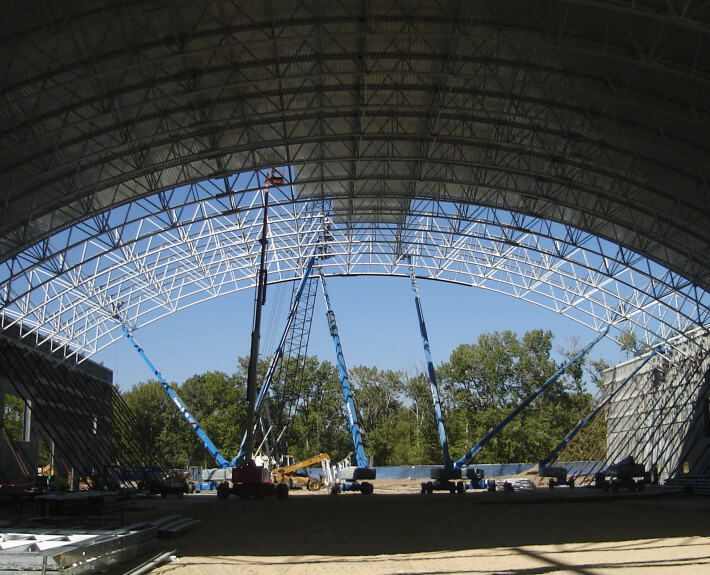 Innovative and ingenuity went into designing for an indoor facility that required 70 feet of clear height needed for the full size practice field. 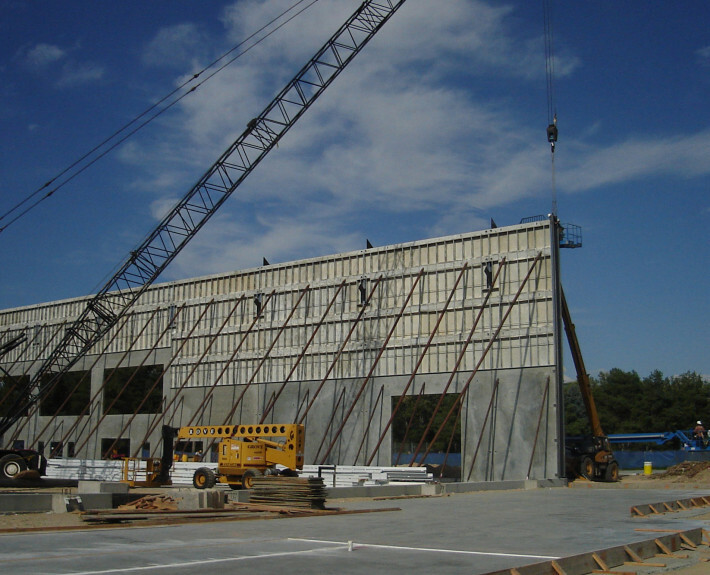 To achieve these requirements the structure was constructed using tilt-up concrete walls and Metal Stud Crete panels with a barrel rolled roof structure. 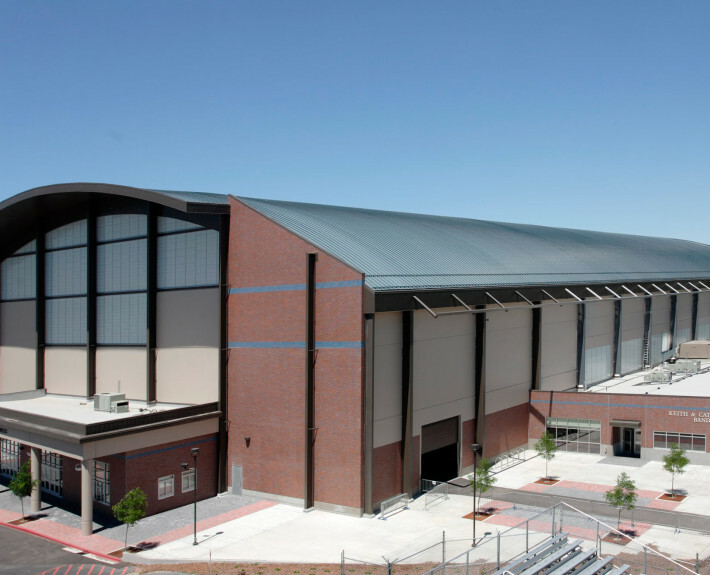 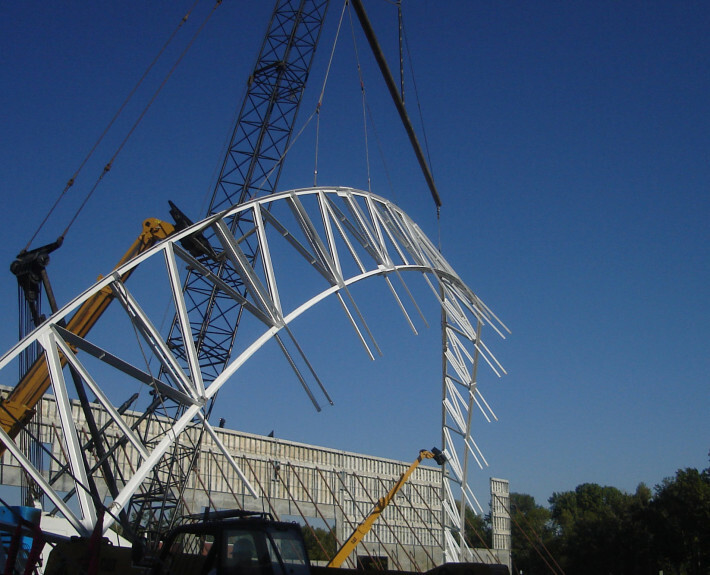 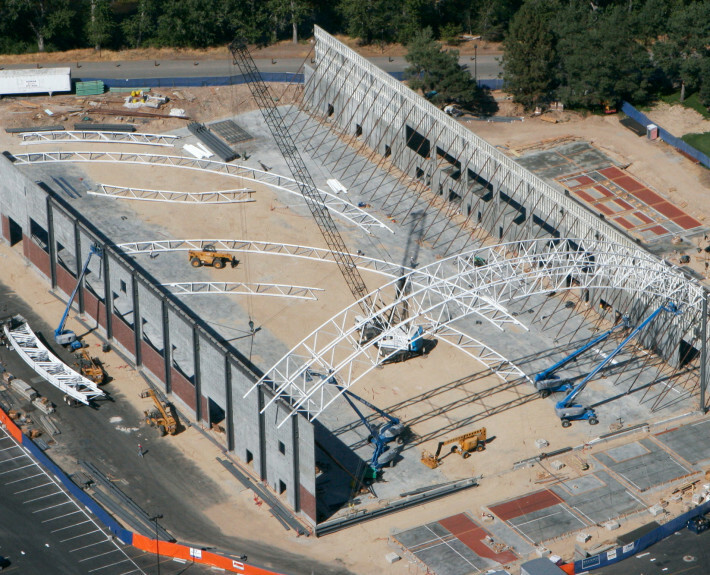 This challenging design/build project was completed – including design – in just 11 months and was delivered to BSU and Idaho Division of Public Works under budget, and in time for the BSU Broncos to practice for the January 2006 MPC Bowl Game.